Prosecutors looking to convict a central Florida mother in the death of her missing daughter are waiting to find out if they have the crucial evidence they need: a body. A utility worker discovered a child’s skull Thursday less than a half-mile from 3-year-old Caylee Anthony’s home in some woods that, until recently, had been flooded. The remains could solve a six-month-old mystery of where the girl went, legal experts said. Caylee’s mother, 22-year-old Casey Anthony, was indicted in October on first-degree murder and other charges, even though the toddler’s body hadn’t been found. She has insisted that she left the girl with a baby sitter in June, but she didn’t report Caylee missing until July. “If the defense had been able to go to trial without a body being discovered, hopes for reasonable doubt might have been compelling. 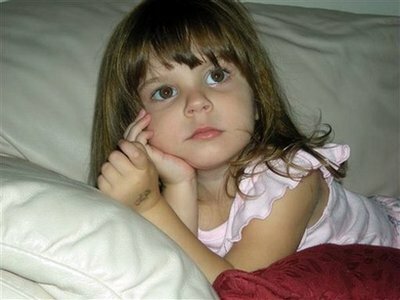 If the body proves to be Caylee, then it immediately becomes an uphill case for the defense,” former U.S. Attorney Kendall Coffey said. There was nothing that immediately indicated the skull found Thursday was Caylee’s. But Orange County Sheriff Kevin Beary said his investigators and the FBI would work around the clock and through the weekend to identify the child. They were seeking yet another search warrant for the home where Caylee and her mother lived to look for more clues. There are also no other similar missing-child cases in the area. Prosecutors announced last week that they would not seek the death penalty against Casey Anthony. Even if the remains are Caylee’s, law experts said it was unlikely the state would reverse its decision because prosecutors still have not determined a motive. And depending on what the evidence yields, the discovery could also help defense attorneys. “If the body was tampered with, if wild animals got to it, if the evidence they get with it is contradictory in some way, then the job (for prosecutors) just got tougher,” said Jim Cohen, a law professor at Fordham University in New York. A spokeswoman with the state attorney’s office said Thursday that officials wouldn’t comment until the investigation was complete. For the past several months, Anthony’s family, police and volunteers from around the country have searched for the little girl.